2018 we raised $14,000 to help get GM1 into clinical trials through The Shepherds Gift-GM1 For HD. 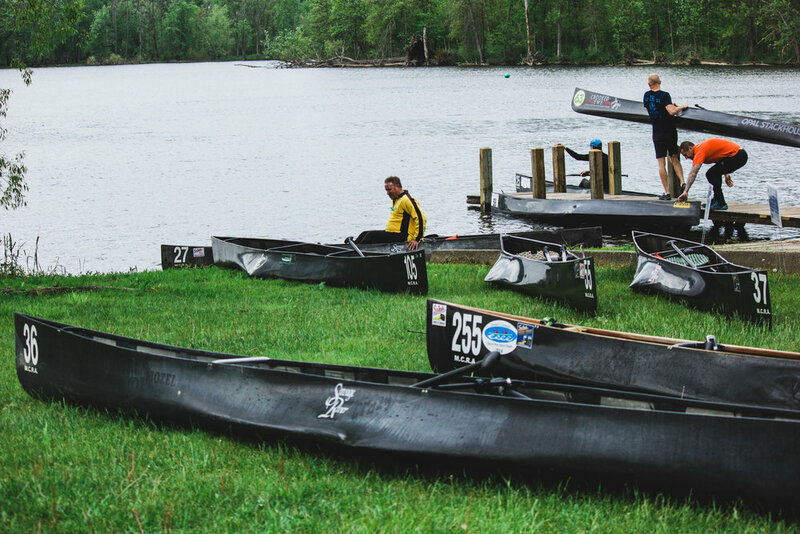 Thank you to everybody who donated and participated in the 2018 Paddle For A Cure. Without you none of this would be possible. 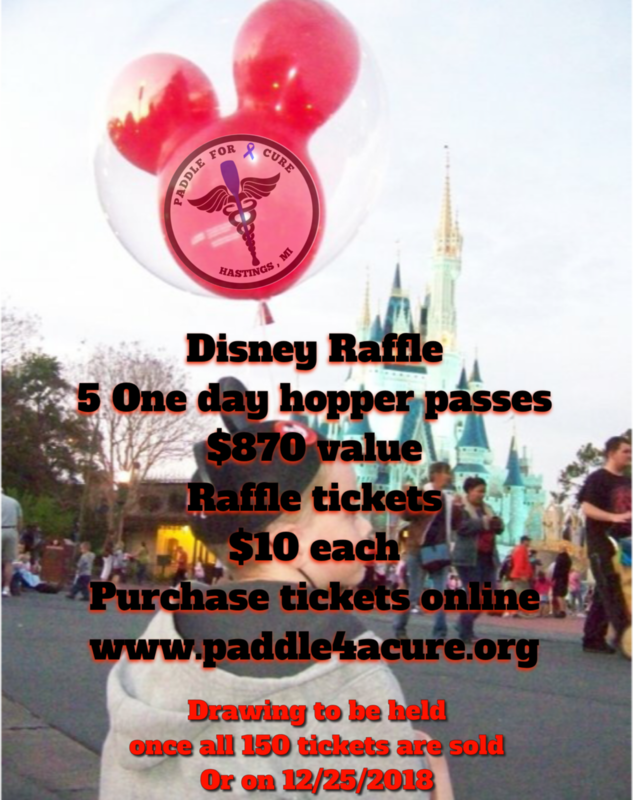 Disney Raffle! We have 5 one day hopper tickets to all the Disney parks in Orlando Florida. blackout dates for these tickets include Dec 25-Jan 1st. They are good until May 2020! Purchase online now! 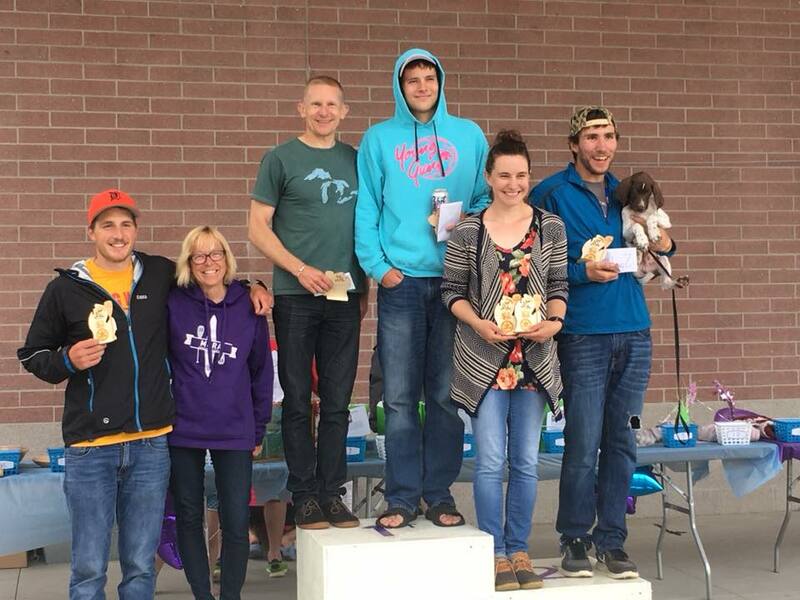 Paddle For A Cure established in 2017 has raised $12,000 to date for Huntington's Disease research and awareness. The event is brought to you by a small group of volunteers and the great sponsors and donors that support the event. Please support those generous local businesses that have backed this great event withoout them Paddle For A Cure could not happen.